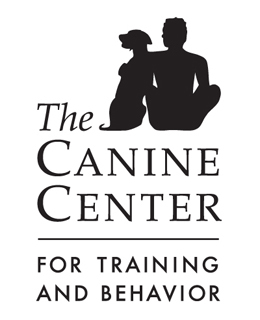 We took advantage of the long weekend and Lucky Dog’s brilliant weekend foster program to send TANK off to spend the weekend with a wonderful guy who was willing to take care of him for a few days, while we headed for the mountains with Chick. 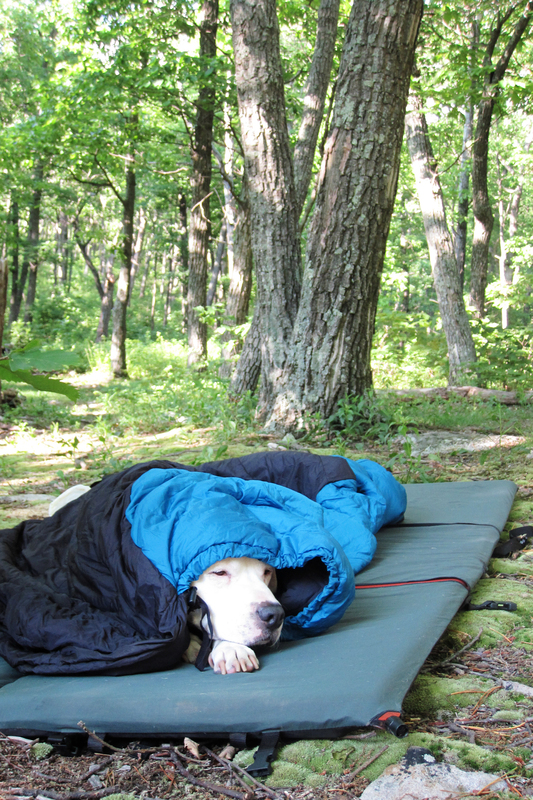 We love backpacking, and considering how lazy TANK has proven to be outdoors, we didn’t think he would make much of a trooper. 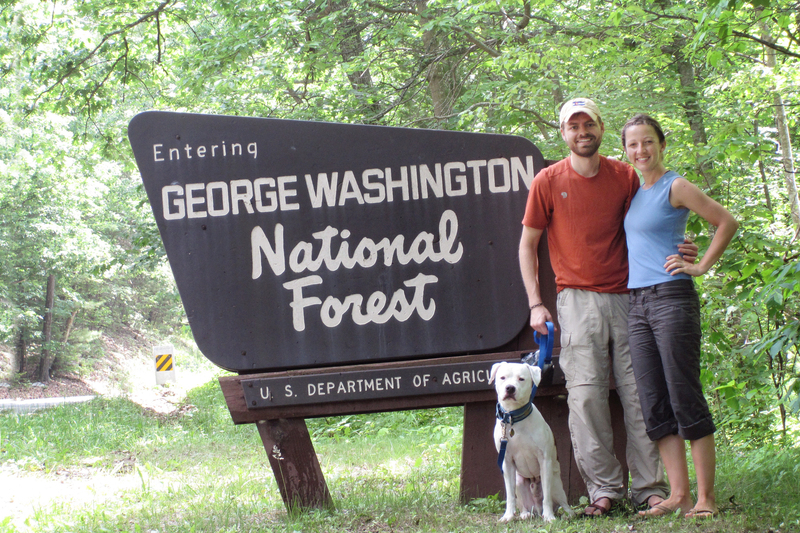 The three of us packed up and headed out to the beautiful George Washington National Forest in Virginia. 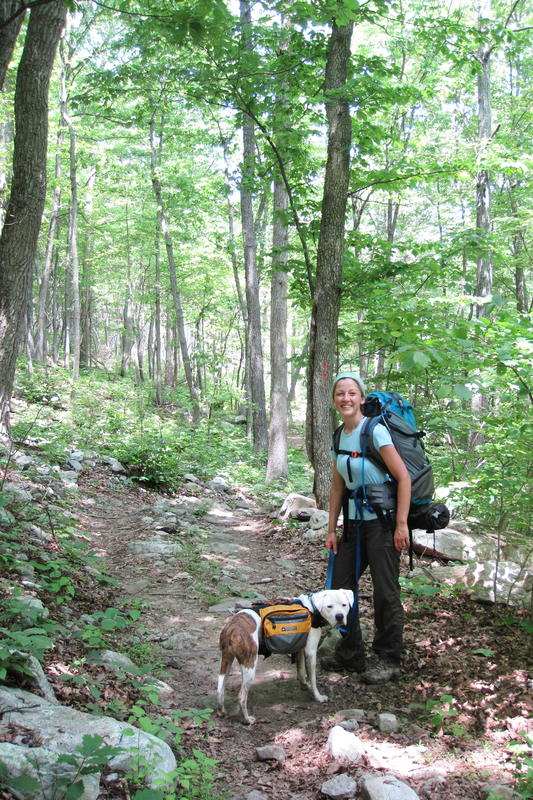 Chick loves backpacking because of all of the sounds and smells of the forest. Plus, he adores showing off his very own backpacking gear, in which he carries his food, water, toys, and poop bags. People are always amazed at how cute and self-sufficient he is in his pack. 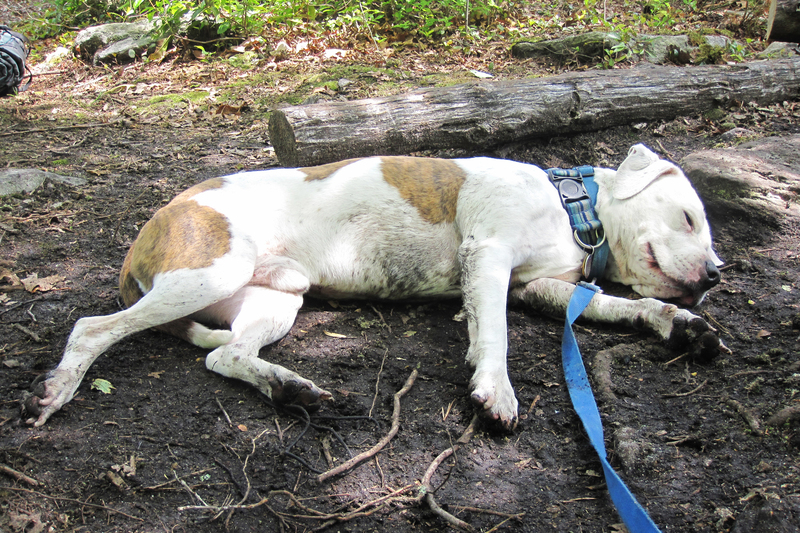 He also loves backpacking because it gives him many, many opportunities to roll around in the mud. He takes each one of these opportunities. When we finally get to camp after hours of trekking in the hills, Chick is thoroughly and satisfyingly zonked out, and loves nothing more than to snuggle up in our sleeping bags for a big nap. As a bonus, the sleeping bags protect him from the tiny biting flies that are his absolute most hated thing in the whole universe! TANK also got to have a big adventure this weekend, though it was not in the wilderness like ours. In fact, he gets more wilderness at the creek in our very own neighborhood than he did over the weekend, which he spent in the city with a special friend. Stay tuned tomorrow, when we will tell you about TANK’s big weekend! Looks like a great weekend! I really want to get into hiking/camping but it’s so hard to know where to start. I know Luna and Wyatt both would love it, and I plan to get them backs as well. Do the black flies respond to bug spray? Wish there was some we could put on the dogs to help. Luna has gotten some bites before and they end up being solid bright red circles. They never seem to itch to her though. how fun! hope it was a little cooler where you guys were- it was SO HOT in the district. so, i’ve somehow gotten hooked on the old tv show veronica mars (this is totally embarrassing- i blame my need to watch everything streaming on netflix bc it’s “free”) and TANK looks just like her dog, “back up”! It was HOT HOT HOT in the hills. We meant to stay two nights but ended up hiking out the second day because of the heat and the bugs. I wish this heat wave would just GO AWAY!! So fun! We don’t know about much good hiking here in Chicago, and I always envy seeing these types of trips. And I love that we did get to see more of Chick; he always seems so serious, I love the mud roll. Plus, we would really, really like to see you guys in a ‘Tourist in your own City’ post. I love seeing what you do with the dogs on location. we will do a home-city-tourism post for you — but first need to get downtown again with some dogs to take more photos for you 🙂 if we do it, will you come to DC to visit? Gorgeous pictures, that looks like a fantastic trip! I love seeing how and where people travel with their pets, a backpack may be in Molly’s future. Tank is Lucky Dog’s Tank? I remember seeing the emails asking for a weekend foster. I didn’t put two and two together. I ended up volunteering at the adoption event as Neil’s handler. We sometimes take weekend fosters off the transport but haven’t in a couple months. yes, same one! small world — i don’t think i knew that you volunteer with lucky?? 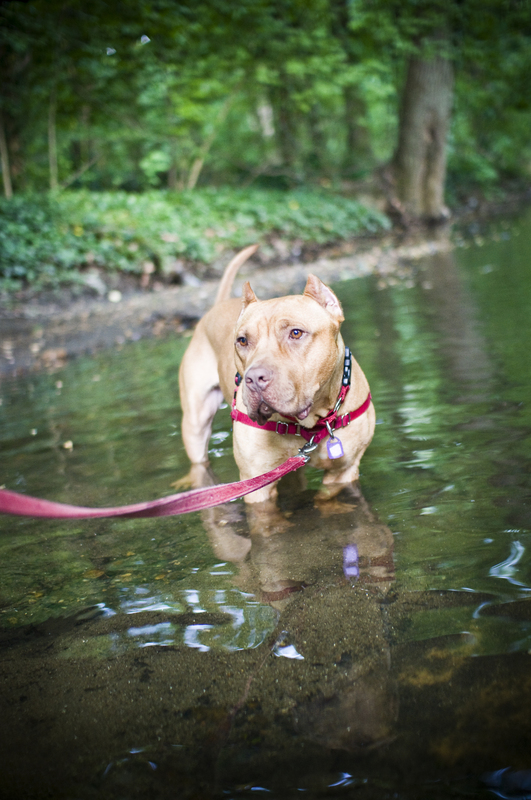 it turns out that TANK’s weekend foster was a perfect match, as you will see tomorrow!! This sounds like so much fun. I can’t wait to go camping again. Now that the sun has come out after six weeks of gloom, maybe we’ll get to go sooner than expected! Chick looks like such a great little hiker, too! I need to get Shiva a backpack of her own. Wow that’s serious camping! Hiking in and all. We (I) prefer car camping where we can just drive up to our spot and not have to carry all our stuff in. hehehe. Darwin LOVES the mud too. We just went on a hike this weekend, and while we don’t let her roll in it, she loves to run through the mud puddles getting mud everywhere! What a beautiful hike. Cool backpack! Ahhh, poor Chick! I feel so sorry for him (stupid nasty bugs!!!). And Tank is quite an impressive pitty, I look forward to more about his weekend. It’s been hot, hot, hot in South Texas, so we feel your pain on the heat! this was just a quick stop as we entered the park. we like to stop at the national park or national forest signs before hiking or backpacking trips, just to keep track of where we’ve been and who we were with 🙂 i have been meaning to ask — will you be in DC along your big trip? we would love to see you in real life! What a fun weekend! Chick in a sleeping bag is almost as cute as Chick in a basket. Almost. Can’t wait to read all about TANK’s city adventures! Looks like a great weekend getaway! I’ve never been there so I’ll have to file it away as a good weekend trip idea. We have never taken Our Best Friend camping; he’d probably make us nuts! You’re so lucky to share this with your best buddy! Chick must’ve been so happy to have you both all to himself. Love the picture of him in that sleeping bag. I agree that tiny biting bugs are the worst thing in the universe!